According to the Alabama Department of Transportation, there were 126,862 auto accidents in Alabama in 2013, causing 852 deaths and 37,559 injuries. The probability of being in a crash in your lifetime is more than 98%. When that accident happens, you may look to the other driver and his or her insurance company to compensate you for your losses, but as you will quickly find out, their motivation is to pay you as little as possible, or avoid paying anything at all if they can. You need an attorney on your side who is experienced in dealing with insurance companies and recovering full and fair compensation for accident victims. For over 20 years, the Law Office of Gary W. Fillingim has been helping victims of Mobile car accidents get the care and compensation they need after a serious crash. Don’t try to go up against the insurance companies without assistance. 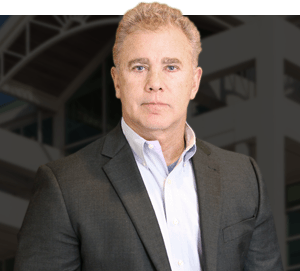 Attorney Gary Fillingim can help you be successful on your personal injury claim. Our team employs accident reconstruction investigators and other experts as necessary to uncover the facts of the accident and build a strong case that proves the liability of the negligent driver. Armed with these facts, we are able to negotiate a full and fair settlement with the insurance company, or litigate the matter all the way to a jury verdict if necessary to get justice for our clients. Did you know nearly 95 percent of all personal injury cases are settled out of court? In order to get the compensation you deserve, you will need a car accident attorney in Mobile, AL, to negotiate on your behalf. Once our car accident lawyers have heard the details of your case, we can offer guidance on what course of action to take. If we feel you have a case worth pursuing, our team will get to work. We have dealt with a number of insurance companies and can handle these delicate situations with ease. Contact us today to find out more about the help we can offer. Defective product – A defectively designed automobile may create a catastrophic injury out of an otherwise minor crash, if the car does not meet crashworthiness standards or was designed in a way that makes it roll over or explode on impact when it shouldn’t. Defectively manufactured components can cause a crash due to brake failure or tire blowout, or cause serious injuries from a seat back failure or failure of an airbag to deploy as it should. The Law Office of Gary W. Fillingim takes on auto manufacturers who cut corners and release defective products at the expense of consumer safety. Dram shop liability – When a liquor store, bar, restaurant, or even a private individual, provides alcohol to a minor or to a person who is already visibly intoxicated contrary to law, they can be held civilly liable when that minor or intoxicated person later injures another in a car wreck. Attorney Gary Fillingim goes after Mobile businesses whose illegal policies and practices contributed to the serious injury or death of an innocent person. If you have been injured in a Mobile car accident caused by the negligence or reckless driving of another, or due to a defective product or some other reason beyond your control, call the Law Office of Gary W. Fillingim, L.L.C. at 251-445-7257 for a free consultation and assistance with all your potential claims for compensation.